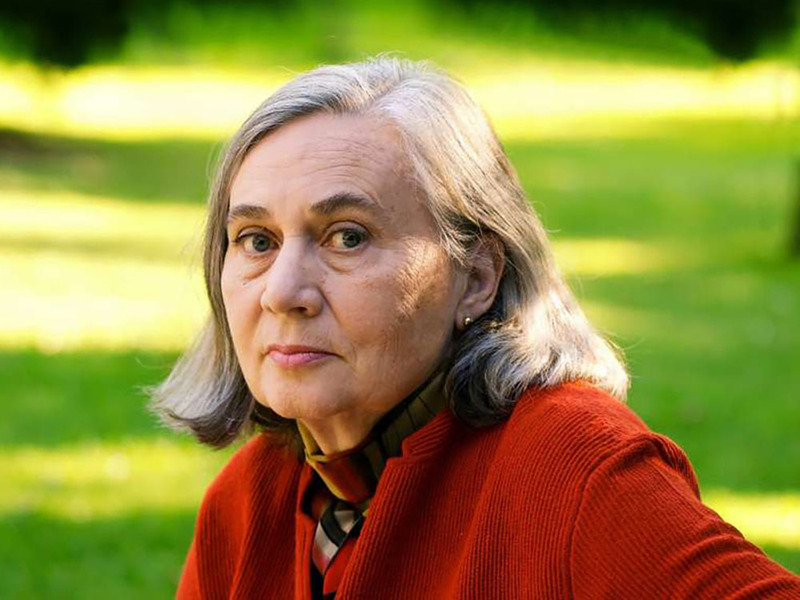 Jack Hanson reviews Marilynne Robinson’s What Are We Doing Here? If, for purposes of discussion, we date the beginning of the humanist movement to 1500, then historically speaking the West has flourished materially as well as culturally in the period of their influence. … A great irony is [therefore] at work in our historical moment. We are being encouraged to abandon our most distinctive heritage — in the name of [economic] self-preservation. The logic seems to go like this: To be as strong as we need to be we must have a highly efficient economy. Society must be disciplined, stripped down, to achieve this efficiency and to make us all better foot soldiers. The alternative is decadence, the eclipse of our civilization by one with more fire in its belly. Robinson’s perspective, then, is a self-consciously historical one, which identifies the present socio-political crisis as consisting primarily in the alienation of broadly liberal values from the ground out of which they grew, a ground composed not least by a dissident Protestantism that prizes the individual aspiration to righteousness over the collective pressure to conform. This vision has been operative in Robinson’s non-fiction from the beginning, first collected in The Death of Adam (1998), but in response to the tumult of the last few years she seems to have ratcheted up the intensity. The essays in her new collection, What Are We Doing Here?, exhibit a consequent tightening of focus or, depending on your view, a limitation of range, which one might expect from a writer driven by a singular moral energy. The danger of such a motivating force is that, in holding fast to so particular a perspective, Robinson occasionally risks abandoning her sense. This is, of course, a risk for any public thinker who proceeds primarily not through scholarly rigour, but through a deeply personal sense of the way things ought to — or, indeed, might actually — be. I hasten to add that I don’t mean to discount Robinson’s erudition, nor to compare her work unfavourably with the slower-moving, footnote-laden contributors to theological, philosophical, and political discourse. As she herself writes, “I am always writing about that broad area that lies between expert opinion and public assumption.” One might add that she writes in that space, as well, and it is refreshing to hear a voice which is at once considered and urgent, contemplative and insistent, and all the while, very, very popular. Robinson is, in short, an excellent essayist, and has been justly rewarded for it. Robinson first appeared to the reading public not as an essayist, but as a novelist. Three years after completing a PhD in English, she produced Housekeeping (1980), which was a finalist for the Pulitzer Prize and won a PEN/Hemingway Award. The novel showcased her extraordinary poetic capacity, which effects a seemingly impossible blend of lucidity and dream-like opacity. Following its success, Robinson began publishing essays in the venues to which she still contributes, such as Harper’s and the New York Review of Books. In 1989, she released her only book-length piece of non-fiction, Mother Country: Britain, the Welfare State, and Nuclear Pollution. What one might take as the contrariety displayed between these first two books — a lyrical family saga on the one hand and a biting critique of British nuclear and public health policy on the other — is in fact only an instance of the capaciousness of Robinson’s thought. When trying to pinpoint the “real” Robinson and determine in which medium her heart truly beats, one can really only decide that she is deeply invested in both. The same can be said for the work that followed these early books. Throughout the 1990s, Robinson continued to produce non-fiction ruminating primarily on the theological heritage of modern American politics and culture. The best of her pieces began to be collected in acclaimed volumes such as The Death of Adam before she returned to fiction with her second novel, Gilead (2004), which won the Pulitzer Prize, and followed it with a companion novel, Home (2008). In Absence of Mind (2010), a version of her Terry Lectures at Yale University, Robinson expanded on perhaps her most frequent target: the socio-cultural habit of scientism, which takes the natural sciences, especially neurology and physics, as the model for all phenomena — most inappropriately, in the case of human life. The reduction of thought and emotion to material states of the brain, the elimination of value in the light of quantum relativity: these are not, for Robinson, mere clichés of the overeducated (though they are also that). Rather, they indicate a genuine paucity of depth in our newly secularised shared language, a worryingly decreased capacity to articulate what, whether or not we like it, matters most: family, faith, compassion, hope. Several more books followed in roughly the same publishing pattern, and ranged over similar terrain. This is no criticism: Robinson’s themes are broad and substantial and her mind seems constantly to be in motion, adding new layers of depth as experience provides new evidence, new cause for thought. The essays in When I Was a Child I Read Books (2012) make a compelling case for the essential role of literature and art generally in the cultivation of a full personal life and balanced civic order, while the novel Lila (2014) returns to the fictional Idaho town in which her previous two novels take place and establishes a kind of origin story for their characters, all in a style that fulfils the promise of Robinson’s earlier fiction, even arriving at new heights of aesthetic power. While Lila brought Robinson near-universal recognition as perhaps the greatest living American novelist, the non-fiction volume The Givenness of Things (2015) cemented her reputation as among the most thoughtful and compelling essayists at work, an endorsement echoed by no less a figure than Barack Obama. The two even became friends, as Robinson interviewed Obama for the New York Review of Books. 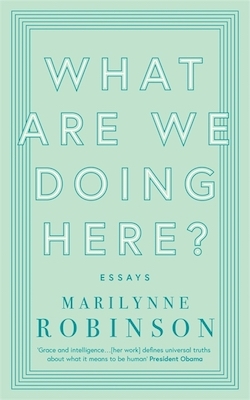 Now in her mid-seventies, Robinson continues to publish prolifically and travel the world, giving lectures on the themes which have motivated her work from its beginning: from the capacity of the human mind to comprehend some semblance of divine order, to the necessity of public universities and a robust historical self-consciousness. All of the fifteen essays in What Are We Doing Here? deal with these few themes and related issues. Most of them, however, are in fact transcriptions of talks given “in churches, seminaries, and universities over the last few years.” In truth, it is primarily in the last of these settings that these talks were delivered. Only two were given at exclusively religious sites, the first at Harvard Memorial Church and the second at Westminster Abbey, and even these institutions might be said to have such outsized places in the popular, secular landscape that it seems almost misleading to refer to them as religious. Two other venues — Harvard Divinity School and Brigham Young University — are trickier to designate; either of them could be a religious institution in one room and not in the next, and neither of them is exactly a church in the town square. The majority of the speeches took place at such institutions at the University of Chicago, Princeton, and the University of Lund in Sweden. This is worth pointing out not only for the sake of clarity, but also because it sheds a certain light on the more puzzling aspects of this collection, namely the occasional yet troubling uncertainty one develops regarding whom Robinson is speaking to — or even about. It is no accident that Marxism and social Darwinism arose together, two tellers of one tale. It is not surprising that they have disgraced themselves in similar ways. Their survival more than one hundred fifty years on is probably owed to the symmetry of their supposed opposition. Based on a single paradigm, they reinforce each other as legitimate modes of thought. So it is with our contemporary Left and Right. Between them we circle in a maelstrom of utter fatuousness. 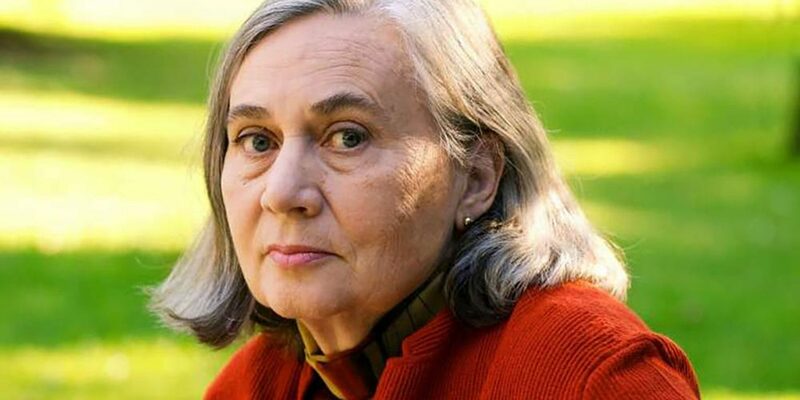 Now, it is unclear whether Left and Right map onto Marxism and social Darwinism, respectively, in Robinson’s view, but it is equally unclear what she means by any of those terms, so saturated in disdain as such passages are for, well, anyone who isn’t Marilynne Robinson. And, indeed, it is not only terminological clarity that suffers under the weight of her despair: the ills of state Communism are well-documented, but what of the Marxist influence in Christian social work of the twentieth century, which contributed so much to labour and civil rights achievements? And while I can’t imagine there are very many serious social Darwinists left, is Robinson not made uneasy by the body of scholarship pointing to its (at least partial) origin in precisely the individualist Protestantism that she so reveres? “I say this,” she writes, “because I am too old to mince words.” This, to be frank, is mere crankiness, and beneath a writer and thinker of such nuance and depth. A theology for our time should help us to know that Being is indeed the theater of God’s glory and that, within it, we have a terrible privilege, a capacity for profound error and grave harm. We might venture an answer to God’s question, Where were you when I created—? We were there, potential and implicit and by the grace of God inevitable, more unstoppable than the sea, impervious as Leviathan, in that deep womb of time almost hearing the sons of God when they shouted for joy. And we are here, you still-forming child, still opening our eyes on a reality whose astonishments never exhaust. Whether this is entirely sound from an orthodox Christian or even a rigorously philosophical perspective is unclear, but in such a context that really doesn’t matter much. What matters is the profound reinvigoration of the religious instincts which are bound up in our shared literary, cultural, and political life. Now, Robinson would be the first to note that those instincts are only the beginning, and that they are subject to debate and criticism, as well as revision to the point of near-unrecognisability. Yet kicking off such debate is not possible without the renewed sense, which Robinson often provides, that even in the darkness of our present moment there is always a stronger light which we see and which allows us to envision ourselves beyond our status quo. “[T]his earth,” she writes at one point, “is so minor an exception to the generality of things that it is insignificant in any account of the universe, unless, of course, it is the very quintessence of significance.” Sometimes almost hectoring, often pleading and entreating, What Are We Doing Here? teases out the implications of that “unless” and how we ought to conduct ourselves if we were to take its possibilities as truths. Jack Hanson is a graduate student at Yale University. His work has appeared in Open Letters Monthly, Quarterly Conversation, the PN Review, The New Criterion, The Scofield, and elsewhere. He is the author of the chapbook Monica Moody and Other Poems (Pen and Anvil, 2017).